E-Safety covers a wide range of topics, from passwords and copycat websites to malware and viruses. Never reveal personal or financial data including usernames, passwords, PINs, memorable phrases or ID numbers. Be aware that sender email addresses can be spoofed to appear as if they’re being sent by an organisation or person you know. Even these spoofed addresses can appear authentic when you mouse over/touch them. Always have internet security software loaded, switched on and kept updated on your computer. Download security apps on all your mobile devices too, including Apple. Be very careful that people or organisations you’re supplying payment card or other confidential information to are genuine, and then never reveal passwords. Don’t readily click on links in emails, texts or posts/tweets from unknown sources, this could lead to viruses or your confidential information being compromised. Don’t open email attachments from unknown sources, as they may cause your device to be infected with ransomware, spyware or other malware. Update software and apps when prompted, including operating systems. These often contain security updates that could guard against malware. Do not say anything or publish pictures that might later cause you or someone else embarrassment. Don’t post your holiday dates – or family photos while you are away – as social networking sites are a favourite research tool for the modern burglar. Use the privacy features to restrict strangers’ access to your profile. Be guarded about who you let join your network. Ensure you have effective and updated antivirus/anti spyware software and firewall running before you go online. If you come across content that you consider to be illegal such as child abuse images or criminally obscene adult material, you should report this to the Internet Watch Foundation. Sending a sexual text, image or video can be dangerous if shared with the wrong person. Once you send a message, you’re not in control of what happens to it. Even if it’s posted online we can help. For more information about sexting and keeping children safe you can visit the Childline website. They can be sent to or from a friend, boyfriend, girlfriend or someone you’ve met online. Sexting can easily happen. Things can go wrong – even when you didn’t mean for them to. When using video chat sites like Skype, Omegle and ooVoo, the person you’re talking to can record or screenshot your conversation without your knowledge. Video chat sites can’t delete images or videos that have been screenshotted or recorded. This is because they’re saved directly to the person’s phone or tablet. Check each site’s reporting and blocking functions before you start using it. Some sites, like Skype, let you report the person if this has happened to you though. You may also be able to block someone so that they cannot talk to you anymore. Anti-bullying & E-safety Strategy – Under Review (PDF). Children are naturally trusting, and this trait can make them vulnerable online. Keeping your kids cyber-safe requires education, open communication and regular monitoring. Teach them about what you do to ensure your own safety on the Internet. Make them aware of the dangers of chatting online to strangers, the need to verify the origins of emails, and what to do if they think they’ve accidentally downloaded a virus. For more information you can view the Department for Education’s advice for parents and carers on cyber bullying. For more information on keeping your child safe online you can view the NSPCC website. What do I do if I am being bullied online? Nobody has to go through online bullying alone. Telling someone you trust could help you report the cyber bullying and give you more confidence to deal with the situation. You could talk to a friend, an adult you trust or one of ChildLine’s trained counsellors. See Childline Support for more information. 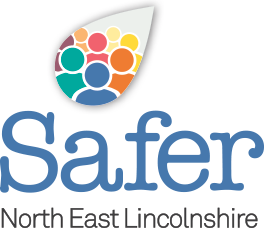 You can also visit Get Safe Online for a wide range of information. Internet Watch Foundation – Reporting illegal and offensive online material. Childline – Information about sexting and keeping your child safe.